The camera’s specs and form factor is similar to the original DP1 model which proved something an anti-climax, disappointing users with its treacle-slow response times and flat output. 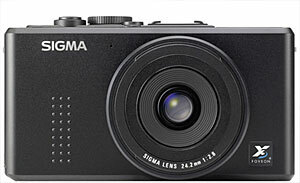 With the the Sigma DP2 finally on sale, the Australian Photo Review website were the first to publish a full review, and it’s proved to be something of a mixed bag. Much like the original DP1, the camera is capable of some fantastic results, but only when the conditions suit the camera: i.e. in bright conditions with straightforward scenes. 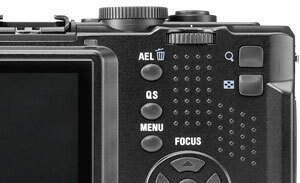 Like its predecessor, the DP2’s AF system struggled with complex subjects with near and far elements, and it was the same story in poor lighting, with the reviewer often having to fire up manual focus to grab the subject, a problem brought on by Sigma’s unfathomable decision not to add an AF focus lamp. It was quite noisy performer too, with a ‘low growl’ bursting forth each time the camera lens was adjusted. 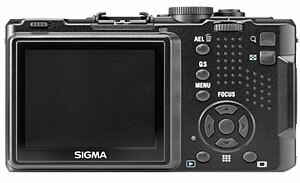 Sigma have paid some attention to their famously fiddly menu system, but it seems that it’s still frustratingly non-intuitive and a pain to read outdoors – a problem not helped by the camera’s relatively low-resolution monitor. Like the Ricoh GR (which we suspect went some way to inspiring this camera), the DP2 comes with a fixed focal length lens offering a 24.2mm focal length (41mm in 35mm format), covering an aperture range from a wide f/2.8 to f/14. Anyone hoping for HD movie clips from the pricey digicam is going to be disappointed, with the DP2 sticking with the rubbish option of only QVGA (320 x 240) recording at a frame rate of 30 fps. Although we’d love to have the DP2’s superb sensor squeezed inside out current favourite high-end compact, the Lumix LX3, it seems that there’s still too many compromises with the DP2 to make it a viable option for most users. If you’re looking to buy a quality digital camera, check out our guide: Seeking The Perfect High-End Digital Compact Camera.